QuickBooks Hosting For SMBs – What are the Benefits? One of the most popular names among small businesses, QuickBooks, holds many accounting tools which can be easily used by everyone. However, QuickBooks hosting has allowed users to make the most of the software and enhance its potential. When QuickBooks is hosted on the cloud, it becomes an all-in-one solution for accountants, CPAs, bookkeepers and small businesses. Let’s look at some of the benefits of QuickBooks hosting for small and medium businesses. Small businesses are always looking for opportunities to cut costs. 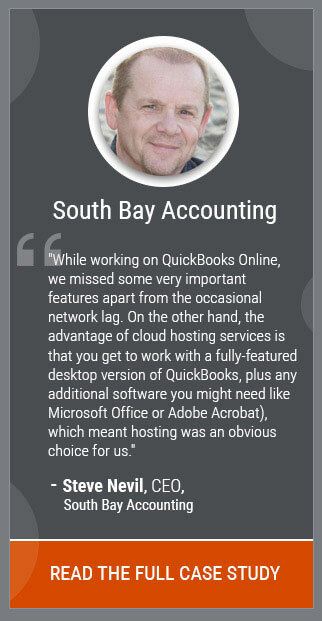 Hosting QuickBooks on the cloud lets SMBs do that. Since cloud is accessible via the Internet, small businesses do not need a dedicated system to be installed in their premises. Due to features available in cloud such as remote upgrades and support, businesses would need far fewer resources, thus saving more money. All businesses must invest in disaster recovery solutions, but for medium-sized businesses which lack required amount of cash and skill, cloud is an ideal solution. Cloud technology is helping more small businesses buck that trend. When on cloud, QuickBooks data is saved in highly protected data centers and there are multiple copies of your files taken by the provider. Moreover, data transfer is secure since it is enabled over highly encrypted data transfer protocol. According to Bloomberg Businessweek article, about 800,000 laptops are stolen or lost every year in airports alone. If you are storing all the information on a laptop or mobile alone, the information can be easily stolen or accessed. However, if you are using cloud, your data is much more secure as you need a user ID and password to access the data. Sure, it can be annoying if you have to replace your device but not as disastrous situation if all your data is stolen. QuickBooks hosting makes collaboration with outside parties such as accountants or outsourced bookkeeper easier. Accountants can work on client accounts more often, easily share files or data with the client even while the client is working in the system. QuickBooks on the cloud not only eliminates the need to copy or sync files but also lets outsourced employees or professionals to work closely with everyone. Hosting QuickBooks on cloud allows SMBs to access their QuickBooks files anytime, anywhere and on any device as well as simultaneously. This makes small firms independent of the local network. One of the most obvious advantages of remote service is a high-speed online response of your QuickBooks as the application is installed on highly optimized servers. Small firms with outsourced employees or with multiple locations find this centralized access to QuickBooks application as the key feature of QuickBooks hosting. When your QuickBooks is hosted on cloud, the administrator can decide the accessibility of the data. Since there are levels of authorization, all team members can have their own authorization levels and there is a system in place to ensure that no one gets unauthorized access to files. 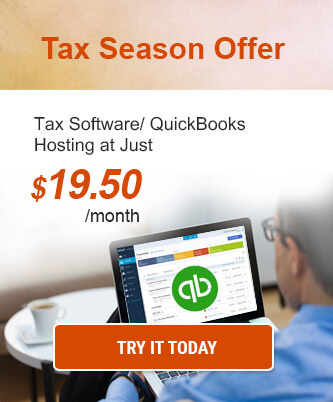 Hosted QuickBooks is compatible with many other applications like Fishbowl Inventory, Microsoft Office, Bill & Pay etc. which can be easily integrated. 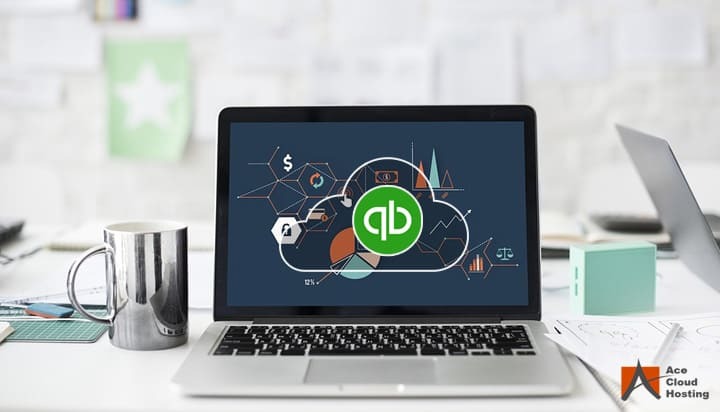 With QuickBooks remote access, you need not worry about upgrading or updating the software as the cloud service provider takes care of these regular updates. Do you often wish there was an easy step your small firm could take to be more competitive? Moving your QuickBooks to cloud is one such step and allows small firms to act faster than established players. A pay-as-you-go and cloud technology mean small firms can run with the competitors while remaining nimble and agile. The cloud provider deals with all the technical side of things, allowing you to focus on other areas of business. While all the points mentioned above spell out the advantages of QuickBooks hosting for small businesses, switching to cloud isn’t completely a selfish act. By hosting your QuickBooks and other applications on cloud, your company is also helping the environment. According to Salesforce, firms using cloud would consume 30% less energy and produce a lesser amount of carbon emissions. For SMBs, this can be cut by 90% by moving their accounting to cloud. So not only would it help the environment but would also save a lot of money spent on energy bills. QuickBooks cloud hosting can prove to be a magic baton or small businesses since it holds numerous benefits at a low price. With limited resources available, QuickBooks hosting can become an ultimate accounting partner which would provide you more than you pay for it.